Cute is all I have to say. This pretty antique cabinet photo sold for 30$. I paid less than 10$ for it. I do buy a lot of vintage and antique photos and I find it easy to turn a profit with these. I am getting better and better at spotting the "good" ones: interesting topic, popular and cute pictures. I buy in lots but I also buy single photos at auction when I am pretty sure I can flip them. This one was a flip. It wasn't part of a larger lot, I bought it because i knew I could sell it for more. 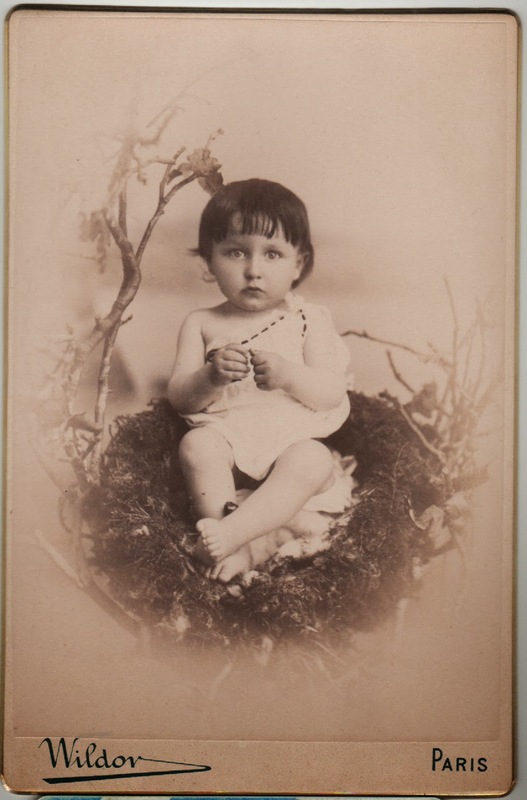 Old photos that sell well for me: gay interest, cute babies and kids, weird and bizarre topic. So next time you see a bunch of old dusty photos at yard sale, take a peek, you never know! Look for cuteness, kids with animals (dogs and cats do well), kids with antique toys and dolls, war photos, anything that can appeal to the gay crowd (shirtless guys, guys holding hands or close together. See this one, I sold it last year: Antique Photo of a Young Adonis Man Posing Shirtless ). Also picture depicting vintage cars can find a new home easily. Cute photos do sell on ebay!